When you have a dental emergency, you shouldn’t wait to have it promptly and thoroughly addressed. The Aardent Dental Centre team are skilled in helping emergency cases see relief from pain and have their problem immediately solved on the same day. 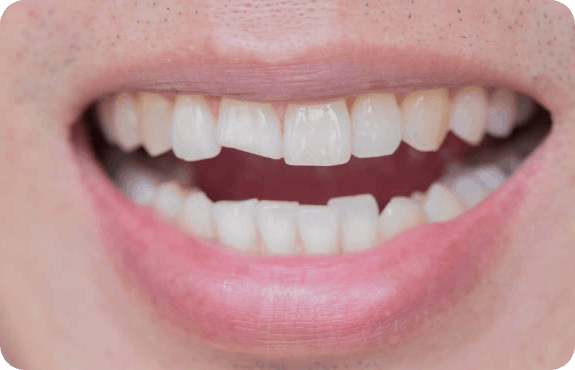 A common dental emergency, broken and chipped teeth should be treated immediately to prevent further damage. If you have a fragment of your tooth, place it into a clean container and cover it with saliva or milk until you see us. We may be able to use the fragment to repair your tooth naturally. The teeth and jaws can be the site of painful aches caused by varying dental issues. The pain can often begin suddenly, ranging from mild discomfort to severe pain. It may come and go or be constant, made worse by eating or drinking. Because the severity progresses as time goes on, it’s essential to see one of our dentists as soon as possible.